At work one day a couple weeks ago, Anne comes up to me and asks: "Have you ever heard of a fiasco?" "Um, literally or metaphorically?" I replied. "Literally, a fiasco in the kitchen," Anne said. Images of stove fires, out-of-control countertop appliances, knife accidents, and smoke-billowing ovens flashed through my head. Anne explained that a fiasco, which is Italian for "flask," is the name of a Tuscan bean cooker. She's just been given one as a gift and suggested that we try it out one day soon. 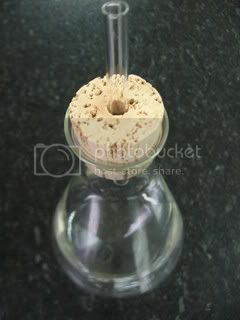 A fiasco is a large glass flask, very similar to the kind you'd find in chemistry class, with a cork top that has a glass tube running through it. It was originally designed for use in a hearth fire; cooks would put a fiasco of beans on the embers at night, and they would be ready to eat in the morning. The name, however, apparently has double-meaning. 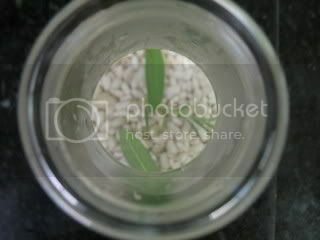 Those glass beakers have been known to break on the stove a time or two. During her research online, Anne came across one man who said he was on his third fiasco. "This could be fun," I thought. And, I made sure to bring my camera to work just in case we had a fiasco of our own. The directions were pretty vague...and in Italian. 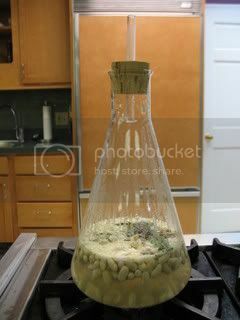 We were to put the beans with water, olive oil, basil, rosemary, garlic, salt & pepper into the flask, then cook it for 40-50 minutes. So, that's what we did. There was some concern as to how we were going to get the beans, without all the cooking liquid, out of the flask. 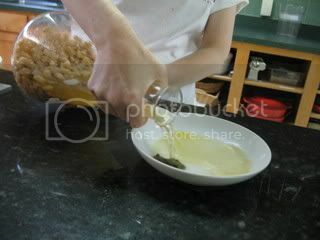 Anne ended up pouring the water into one bowl and the beans in another. [un]Fortunately, no fiasco took place in the kitchen that day. We had to wonder, though, were beans cooked this way any better than if they'd just been cooked in a pot? We didn't think so. 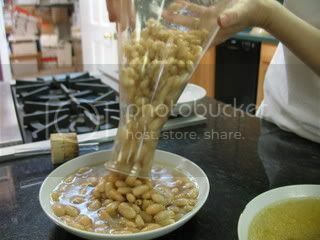 I think the fiasco is just a reminder of the traditional Tuscan way of bean cooking...and a more attractive way to cook beans. I mean, if you have to have a pot of beans cooking on the stove for an hour or two, it might as well be done in a pretty vessel. This is the sexiest chemistry experiment ever. Though I sometimes prefer the conflagration of flames and grappa fiasco definition, instead. Nice to meet you at the Stables, by the way!!! It is a beautiful way to cook beans. 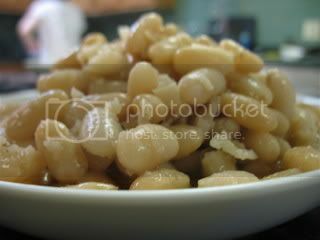 Let’s face it, beans are pretty humble looking, anything to jazz them up a bit is a good thing! thanks for the education. Very interesting. This looks amazing - now I"m in search of a fiasco. Help! Where can I find one. I"ve searched many sites (cooks.com, williamssonoma.com) and nothing. I doubt you can find one in the United States. The one I used was a gift to my boss from someone who bought it in Tuscany. Your best bet is to go online and search for one to order from Italy.